The new Delonghi EC750 Espresso coffee maker, Only £105 with FREE UK and ROI Delivery. You won't find it cheaper online!! Dyson DC24 Allfloors Bagless Upright Vacuum - Lunneys Electrical: The cheapest ONLINE!!! 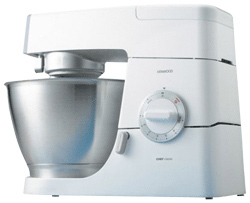 Get your now for Only £269 Delivered Free in the UK and Ireland. COMING IN VERY SOON. THE NEW DYSON HOT! Conventional heaters have limited settings. Like a watched pot that never boils, they can't always heat a whole room quickly. Meanwhile central heating is sometimes wasted on the whole house when you only need heat a room. Dyson Hot™ is engineered to heat the whole room faster than any other. Dyson Hot™ can be set between 0 and 37 degrees Celsius to heat a room. An intelligent thermostat keeps it there. 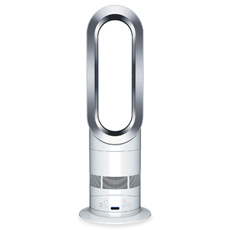 Dyson Hot™ monitors the room temperature by measuring surrounding air. If a drop is detected, the heater turns back on to maintain the set temperature. So pop online or call in store and get your new blanket before the snow comes!!! The Delonghi Magnifica ESAM 04.350.s Bean to Cup coffee maker. Patented Automatic Cappuccino system. Just place your cup under the nozzle, Select Automatic Cappuccino button and you will get a perfect Cappuccino or an Italian Caffe Latte every single time. You can have the machine memorise your favourite Cappuccino by choosing the amount of milk and coffee and your favourite espresso. You also select your perfect temperature, the quantity of ground coffee and amount of water. Cleaning the machine could not be any easier. Just press the cleaning button and the machine will perform an automatic washing cycle. The container which houses the AUTO CAPPACCINO device is highly practical as the milk can be stored in the fridge when not in use. Why not call in store, or visit us at www.lunneysonline.com to have a look at the New Magimix Nespresso Pixie Coffee maker range. The Nespresso Pixie is the latest Espresso coffee maker just out in the market. This is the quickest and most energy efficient Nespresso machine ever made. The thermo block heats up and is ready to go in only 25 seconds. New Samsung Eco Bubble Washing Machine. The New Samsung Eco Bubble washing machine is now available in our store. Uses only 30% of energy, Bubbles do the rest! SAVE ENERGY. Because the bubbles penetrate the fabric so quickly, wash temperatures can be reduced without compromising on cleaning results. The Super Eco Wash programme operates at just 15°C and uses only 30% of the energy of a normal 40°C wash cycle with better wash results. FABRIC CARE. Eco Bubble Technology also delivers advanced fabric care, with gentle washing protecting the most delicate of items. As less mechanical action is required there is less wear and tear on clothes. Plus, the innovative Diamond Drum with smaller holes prevents snagging of fabrics while the diamond shapes cushion clothes so they last longer. Why not visit our online store for the new Dyson DC32 Animal Pro. This is a full size cylinder vacuum cleaner which is ideal for all floor types and is also very good at lifting pet hairs using the Dyson Turbine Head included. The vacuum also comes with a mini turbine head and hard floor tool, helping you clean every floor type in your home. The hose wraps around the vacuum for a very nice and neat storage solution. Available now from our Online store for only £249 including FREE Delivery to the UK and Ireland. 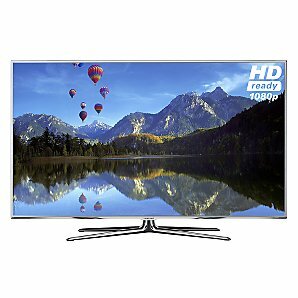 We have a great new 55" 3D LED TV coming in to stock this week, available in store, the new Samsung UE55D8000. You can also contact Beko direct on Freephone 0800 009 4837 or 1800 252 925 form ROI. On order and due back in stock very soon. Also on show in our Banbridge store, DEMO Ready, why not call in and try one today!! Coming soon to www.lunneysonline.com BUYERS GUIDES. These pages will give you extra buying advice on some of our most popular selling products such as Coffee machines and Vacuum cleaners. Keep and eye here and you will be the first to know when these are live. Why not visit us at www.LunneysOnline.com and get your hands on the new Dyson DC35 Slim. There is only a few remaining and they wont last long! http://www.lunneysonline.com/dyson-dc35-slim-149-p.aspOnly £199 with FREE UK & ROI DELIVERY.